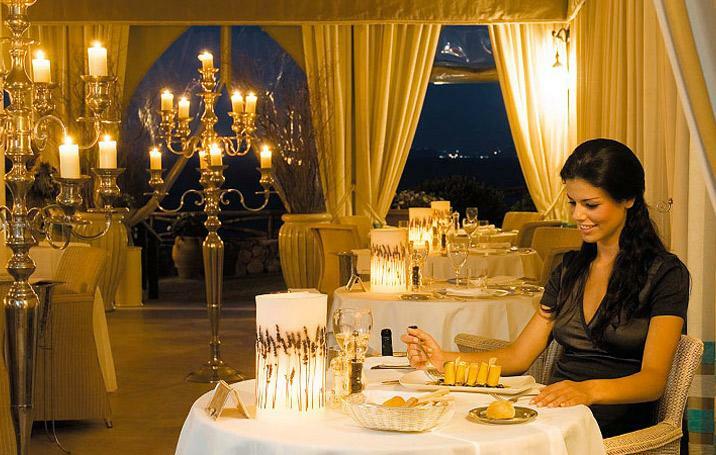 The gastronomic offer by Mezzatorre Resort and Spa consists of two restaurants, one adjoining the tower and one above the sea with the typical leaves palm-roof. Open only in the evening, also to outsides, with its romantic atmosphere by candlelight and it's a sheer drop from the terrace to the sea, offers a Mediterranean cuisine cured by our chef. It offers a refined choice of Mediterranean dishes, prepared with the best ingriendients. On demand, at guests disposal, a special diet menu with suitable dishes under the nutritionist advise. An appropriate choice of wines to make unique your dinner. Sheer, dug into a luxuriant holm oaks wood, to the West side of the bay of San Montano, inside the Mezzatorre Resort & Spa park.